The goal which won the match may have carried a slice of luck, but no one could argue that we weren't due a break after the way things had gone earlier in the season. Maurice Malpas made his first appearance of the season and it was no coincidence that the defence kept their first clean sheet with the player/coaches steadying influence back in evidence. 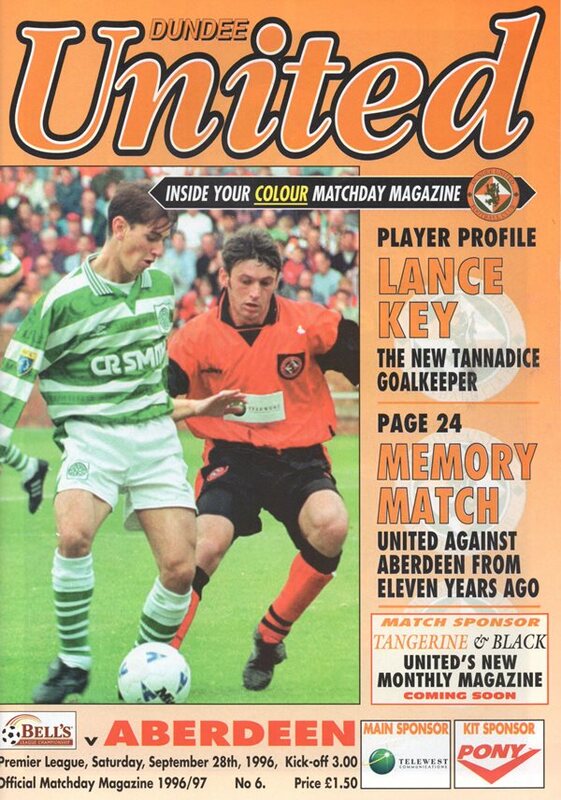 United's determined start against the previously free-scoring Dons brought Walker into action after only five minutes as he did well to hang on a blistering half volley from Gary McSwegan. Five minutes later Walker only held on to a Gary McSewgan effort at the second attempt as United maintained that early promise. The game became embroiled in the midfield, but towards the interval, United had two good efforts, a side-footed shot from Owen Coyle had Walker scrambling at his left-hand post and Robbie Winters headed the ball inches past immediately prior to the break. A chip from Billy Dodds which just missed the target was the sum total of the Dons attempts on goal. 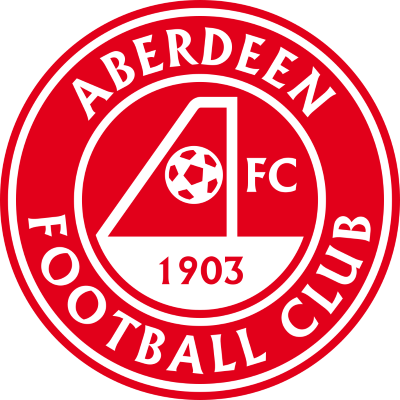 Certainly, Aberdeen were livelier as the second half got underway and Windass hit a shot on the turn narrowly past. 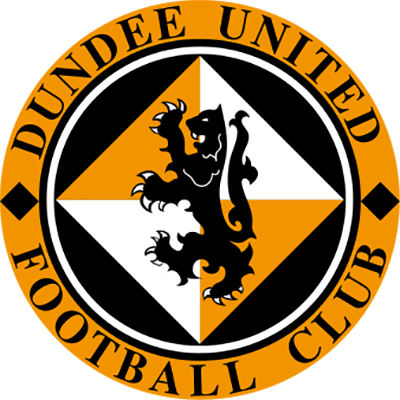 United were unlucky not to go ahead in the 59th minute when Gary McSwegan's flick from Davie Hannah's downward header was cleared off the line by Kambouare. Midway through the second half,United's mounting pressure told, albeit in fortuitous manner. Gary McSwegan latched onto an Andy McLaren header out on the extreme right and his first time shot on the turn struck Kambouare and dipped over a helpless Nicky Walker. The only major scare United had before securing their first win of the season was when Windass struck the inside of the post from a free-kick. Indeed that was effectively the Dons striker's last contribution before being sent off for a second bookable offence with 15 minutes remaining to help United see out the last few minutes in relative comfort.